Beer Festival Brings More Than Just Beer… Hard Cider! Happy Holidays! From all of us at Hard Cider News, we hope that everyone had a safe and joyous holiday, and has an even happier New Year! 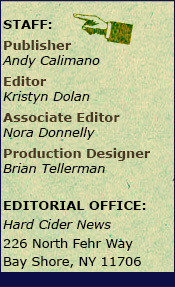 Please look forward to the next edition of Hard Cider News in mid January. 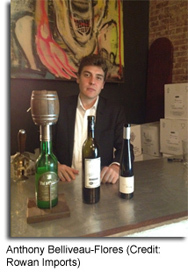 Operating out of Queens, NY is Rowan Imports, the importer and distributor of fine cider co-owned by John Belliveau-Flores and his brother Anthony Belliveau-Flores. The young sibling-run business is the result of a shared love of traveling, eating and drinking. 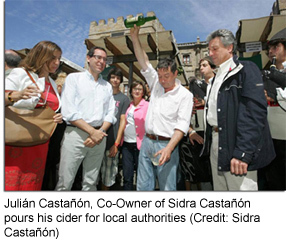 John was first introduced to “sidra” [or “hard cider” as we refer to it in the United States] while he was traveling in Spain. John fell in love with the taste and the showmanship involved in serving cider. Bottled cider was poured in front of him in the traditional “escandiador” style from 6 ft. above the glass to release the cider’s natural effervescence; and “draft” cider was released directly from giant 20,000 liter stainless steel barrels where the pressurized volume shot the cider out providing a nice, crisp and clean glass of cider. 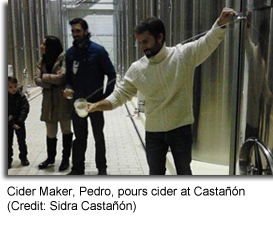 John’s sidra experience, made him want to open a cider bar. However, after talking to people in the bar industry, trying to find locations, and reaching out to distributors to find what ciders are available, John discovered that there are only three Spanish ciders available in the US market and the other ciders didn’t provide the taste he fell in love with while in Spain. Furthermore, the ciders he was interested in were very costly. Surprised, since sidra is so widely abundant in Spain, he talked to Anthony while he was teaching in Vietnam and they decided to change the business plan and look into what it would take to get an importers permit. Of all the tasks involved in starting Rowan Imports, Anthony said, “getting a federal importers permit was actually the easiest part.” On the other hand, he continued “getting a distribution license in New York State took six months and it was very costly.” One of the reasons it is costly is because you need to have your warehouse space/location secured before you can even apply for the license. Therefore, you are paying at least six months of rent on essentially a “dead space.” The good thing is that while John and Anthony were waiting on their paperwork to process they were able to connect with a friend who was integral in helping them meet with all 32 commercial cider producers in the country. Together, they were able to taste the sidras of all the producers who were big enough to export with consistency and quality. When John and Anthony made their return trip from Spain, they brought 55 different bottles of sidra back with them. They then had friends in the restaurant industry (sommeliers, bartenders, etc.) who knew cider well sit down with them and figure out which ones were the favorites and would do well in the US market. After the favorites were selected, John and Anthony then told the cider producers that they wanted to import their ciders and the business bloomed. 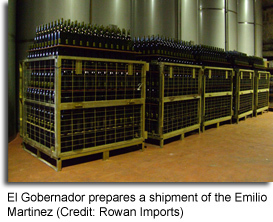 All of the Spanish c iders that are imported by Rowan are DOP regulated and certified which means that all of the products are estate produced and bottled. This ensures that the products are their very best and the true representation of what would be found at the ciderhouse. With the addition of kegged cider to the Rowan portfolio they can only grow. John and Anthony take great pride in making sure their products are affordable to the demographics they cater to and kegged cider will enable them to reach new demographics. 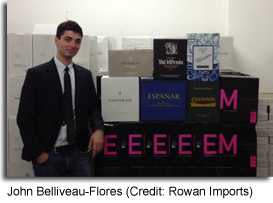 For more information about Rowan Imports and to find their products, you can visit their website RowanImports.com. 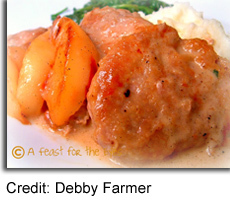 You can also purchase their products online at CyderMarket.com or TintoFino.com. 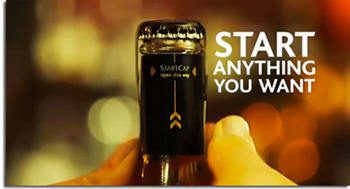 With the recent launch of StartCap, you can pop a bottle and start a whole event! Cider giant, Strongbow, teamed up with the UK’s Mobido Communications to create an innovative, digital bottle top. The bottle top is the first bottle top to ever be produced and has the capability of triggering “events” when the bottle top is opened like playing music or triggering confetti to burst. Jennifer Wright, Owner of Mobido Communications who envisioned the bottle cap, explained, “The StartCap is able to function through a unique smart RFID chip which is embedded in the cap. The chip is carefully secured beneath transparent paper to ensure it doesn’t snag on the bottle top’s sticky foil and the foil is perforated on one side to ensure it easily breaks when opened-propelling the tag away. The bottle cap becomes a trigger when popped and the RFID scanners in the environment in which the bottle is opened are activated.” Basically, the RFID chips operate like credit cards telling antennas, satellites, or [in this case] s canners to do some remote action. During the first public release of the limited-edition Strongbow bottles with StartCap in Budapest, Hungary on December 9th, StartCaps turned on lights, played juke boxes, operated fountains and set off glitter showers. David Moore, Global Marketing Manager for Strongbow Gold told the UK’s Business Telegraph, “StartCap is an exciting digital innovation for Strongbow Gold. It combines technology with the product experience to give added enjoyment to our consumers, to provide a fresher start to their evening.” Click here to check out some video footage of the events. Strongbow hasn’t said if and when they will release the limited-edition bottles with StartCap anywhere else, but they are looking to make the StartCap the focus of a campaign to introduce Strongbow in countries where cider consumption is low. For more information, please visit Start-Cap.com or StrongbowGold.com. Ecotrust & Edible Portland came together to present Cider Stomp on November 2nd at the Jean Vollum Natural Capital Center in Portland, Oregon. The sold out event brought hard cider aficionados together to explore the next wave of Northwest craft beverage to the thumping tunes of showcase music and autumn nibbles paired with local cid ers. 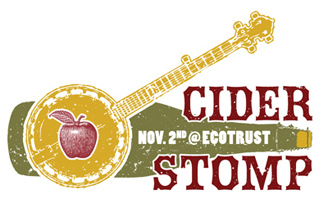 Additional information can be found by clicking here for the Cider Stomp website on Ecotrust. With Leprechaun Cider Company and Argus Cidery already taking off in Texas, it comes as no surprise to s ee others trying to get into cider production. Keep an eye out for Bishop Cider Co. in the Bishop Arts District of Oak Cliff (near Dallas). Husband-wife homebrew cider makers, Joel and Laura Malone, hope to open Bishop Cider Co. in early 2013 where they will produce and sell hard cider but also host art shows, music performances and events. The Malones have already leased a space over 700 square feet in size and received the necessary federal permits/licenses. They also received the support of the City Plan Commission earlier this month. However, they are awaiting the City Council’s approval on zoning matters and a Texas Alcoholic Beverage Commission permit (the last step!) to begin production. When Bishop Cider Co. is officially open, you can expect them to make two to three styles of cider and some seasonals with an alcoholic content of 5-8 percent by volume. Spire Mountain isn’t new to the recent cider boom or hype though. The Washington based cidery that is owned by Fish Brewing Company was founded in 1985 and is America’s oldest operating craft cider maker, producing a traditional apple and pear cider as well. “Dark & Dry Apple Cider” won a 2009 North American Brewers’ Association gold medal. 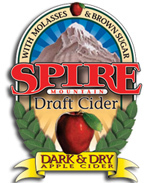 For more information and where to find Spire Mountain Ciders, please click here for the website. 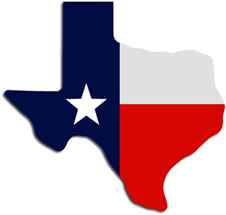 Argus ciders can only be found in Texas (primarily Austin and Houston) and limited locations in Little Rock, Arkansas. However, you can purchase the ciders via ArgusCidery.com or by visiting them at their ciderhouse (to open soon). 1. Pour 1/3 glass of hard cider. 2. Pour 2/3 dry champagne. 3. Add 1/2 shot of vanilla vodka. 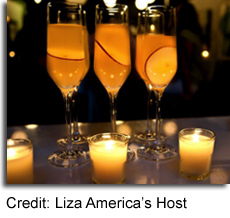 Tip: When pouring champagne, fill the glass 3/4 of the way to allow for the bubbles to settle without overflowing.